You need to protect yourself and those around you from getting sick or cross contaminating anything. A lot of you common folk will not take the proper precautions to protect yourselves and then fall ill. Someone who’s been trained to handle contaminants knows that there are certain ways to get into and out of your protective gear to prevent the spread or breathing in of the contaminant. There are long, tedious hours of mold removal training involved. Including being in good enough shape to wear a respirator over long periods of time. Buying a paint suit and dust mask from your local hardware store just simply isn’t enough protection. 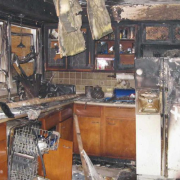 Being a mold remediation contractor, often times we do find ourselves in complicated situations. During these situations, we have to use our many hours of training to try and resolve the issue. None of these mold cases are “black and white” and almost every job is going to need some type of special attention. There are even sometimes when we have to reference our training books or even call a professor for some tips. Another risk factor of DIY mold removal is that some people are severely allergic to certain types of mold and can have negative reactions. While other people are completely unaffected by the mold there are also the ones who all of a sudden have trouble breathing due to mold. Mold also lets off these toxic mold spores that can be extremely dangerous, even in particularly small amounts. One fact remains true, and that is that most of us are unaware of our allergies until we start to see the symptoms. These are four of the more obvious reasons to call a mold removal professional to come and remediate your mold issue. 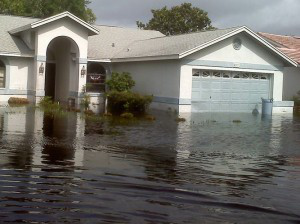 Each and every single of these situations is unique and Restoration USA would gladly come out to your property to discuss your options. We’ll even provide you with a standard inspection. Trench foot is a serious medical condition caused by prolonged exposure of the feet to moist, cold, and unsanitary conditions. It’s just one of many foot immersion conditions and the use of the word trench in the name is a reference to trench warfare, mainly associated with World War 1, which started in 1914. Different from frostbite, trench foot does not require freezing temperatures to affect you. Excessive amounts of sweating have always been regarded as one of the contributing factors to trench foot alongside an unsanitary, cold, and moist environment. It can and will occur in temperatures all the way up to 60° Fahrenheit, and in as little as 13 hours. Continued exposure to these environmental conditions causes deterioration and degradation of the capillaries and then leads to the morbidity of the surrounding flesh. There are some who have affected that experience their feet turning red or blue as a result of poor blood supply, and may begin emanating a decaying stench. This will signal if the early stages of tissue death, also known as necrosis, have set in. As the condition worsens, your feet might also begin to swell and enlarge themselves. Advanced trench foot often causes blisters and open sores, which in turn lead to fungal infections. Sometimes this is referred to as tropical ulcer or jungle rot. If left untreated, trench foot usually results in gangrene, which means it may require amputation. If trench foot is treated properly, complete recovery is normal, though it is accompanied by severe short-term pain when feeling returns. Prevent trench foot by keeping the feet clean, warm, and dry. It was discovered in World War I that a key preventive measure was regular foot inspections. Soldiers would be paired and each made responsible for the feet of the other, and they would generally apply whale oil to prevent trench foot. If left to their own accord, soldiers might be negligent to their feet and fail to take off their own boots and socks to dry their feet each day. But this became less likely once another soldier was assigned to their feet care. Later on in the war, instances of trench foot began to decrease, probably because of the aforementioned measures of wooden duckboards to keep your feet from coming into contact with the muddy, moist, cold ground of the trenches. That and the increased practice of troop rotation, which kept soldiers from prolonged exposure to the muddy floor while rotating to the front. Thoroughly clean and dry off your feet. Put on clean, dry socks daily. Treat the afflicted foot by applying heat packs. Alternatively, soaking in warm water (102° to 110° F) for approximately 5 minutes. When sleeping or resting, do not wear socks. Obtain medical assistance as soon as possible. If you have a foot wound, your foot may be more prone to infection. Check your feet at least once a day for infections or worsening of symptoms. In worst case scenarios there are medical records of people suffering from trench foot undergoing amputations. Restoration USA takes all preemptive measures necessary to ensure our water technicians never have to experience the awful trench foot. Give us a call at (866)-745-6428 or reach out to us on our website www.RestorationUSA.com. We offer 24/7 services so that we can be there whenever you need us. Be it mold removal or flood extraction, no job is too big for Restoration USA.